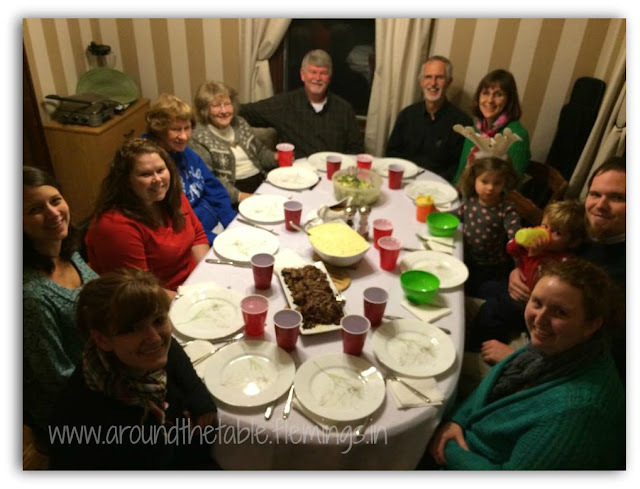 Around the Table Book: Tell Us Your Story! 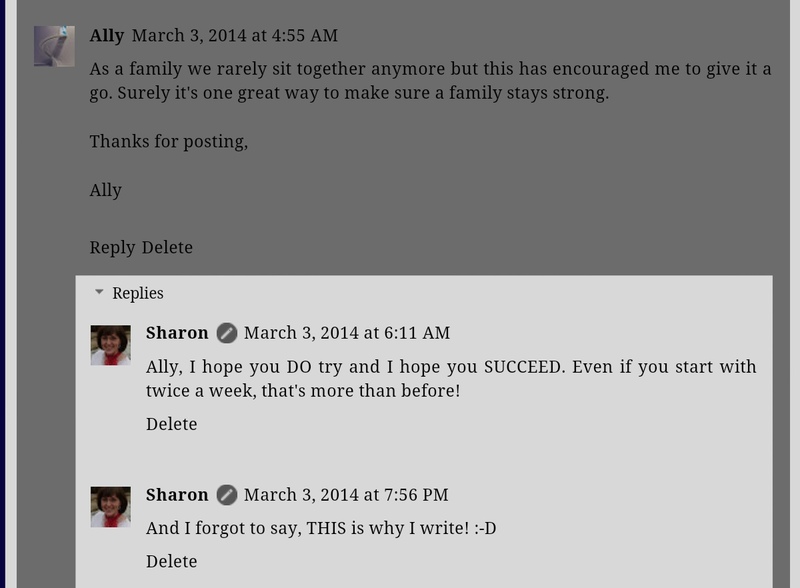 After reading a post on my blog, I want the readers to long for the kind of family connection they read about. They should think, "Let's have dinner as a family as soon and often as we can. I want that kind of connection in our family." To do that I want to tell stories in my posts. My problem is I don't have any kids living at home full time. One daughter is in her senior year of college and I get to have her home some of her school vacation. 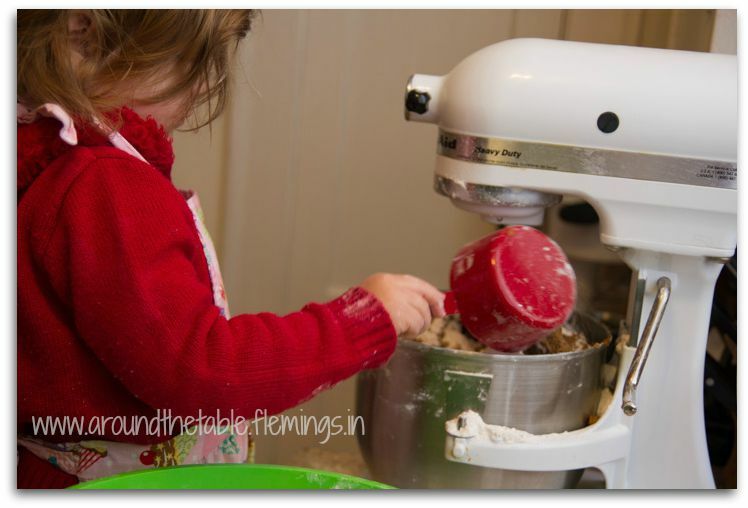 If you have children--of any age--living at home, and you have regular family meals. 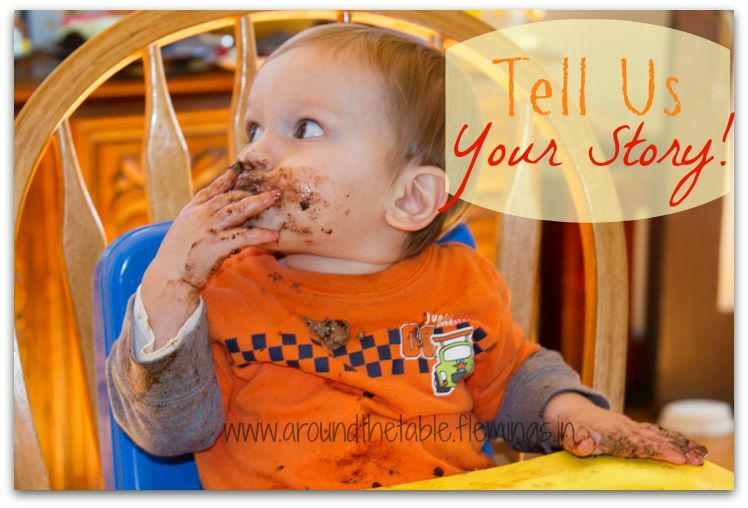 I would LOVE to hear your mealtime stories. Center of the table creations, maybe edible ones! Then it could be a great addition to the blog. I want to emphasize that it is a story we want to hear. The teaching comes along naturally. If it’s a story of how something really clicked we’ll all be encouraged to keep working at getting our family together for meals. But even if it’s a hilarious disaster (at least now it’s hilarious), it helps us all know that others have calamities and not only survive, but can make them a part of their family’s oral history. Humor is a wonderful teacher, so if that’s part of your story, work it in! I am also open to slightly off-topic posts that have to do with families connecting. If you have an idea along these lines, please query me before going to the work of writing. If you are interested in helping me (and I hope you are!) please take a moment to read the rest of this post with some specific guidelines. Also, if you have a story, but aren't a writer, send me an email telling me the topic and giving me your phone number. You can tell me the story, and I will write it up. Please take time to familiarize yourself with the blog (including clicking on the links above) and its purpose, to inspire families to gather around the table more often where they can learn, talk, and enjoy each other. Submission of your guest post does not guarantee publication. Your submission will be reviewed and if it will benefit Around the Table Blog readers, it is likely to be published. A guest blog should be a story not an instruction manual. Musings on family mealtimes are also good, but keep them real and include true illustrations from your life. Posts must be original content (i.e. not published under a copyright you do not own). Please read and reread your entry to tighten up your story and make it readable and flowing. Read it out loud to yourself to see if it sounds good. Read it to the people in the story to make sure they agree on its accuracy and that you have their permission to have it published on the web. If it has to do with a holiday or season, please get it to me at least 3 months before that time so that we can work on it together before it is time to post it. If you have any digital photographs that you could include with it, that would be very helpful, and actually necessary! These would need to be sent to me in an attachment to be able to post them. If your family or others are in the pictures please get their permission to have them published on the web. I will assume that your submission means that there is permission. Include the suggested caption for the picture. The entries can be 200-600 words long. Include a short, fun bio (50 words or less) at the end of your post. I don't want your curriculum vitae, tell a fun or interesting fact about yourself. Feel free to include a link to your website, blog, and/or Facebook page. What a great idea! I'm an empty nester, too, but loved having that time to catch up on everyone's day. Now, just me and hubby sharing the highs and lows of another day in the Kingdom of God. Best to you in your writer's search!